1. Dry roast the coconut and remove. 2. Dissolve the jaggery in 2 cups of water and bring to a boil. 3. When it starts to thicken and sticky, add the roasted coconut. 4. Add cardamom powder and stir well. 6. Add 2 cups of hot water to the rice flour. 7. Add oil and salt. Stir well until mixed and free of lumps. 8. 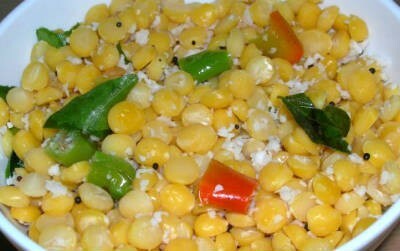 Shape this into small cups and add a spoonful of the coconut-jaggery filling. 9. Cover and then steam cook until done. 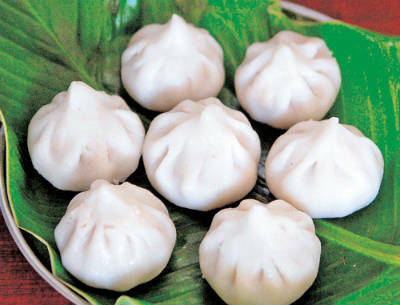 Feel free to comment or share your thoughts on this Modak Recipe from Awesome Cuisine.